This article is 532 days old. 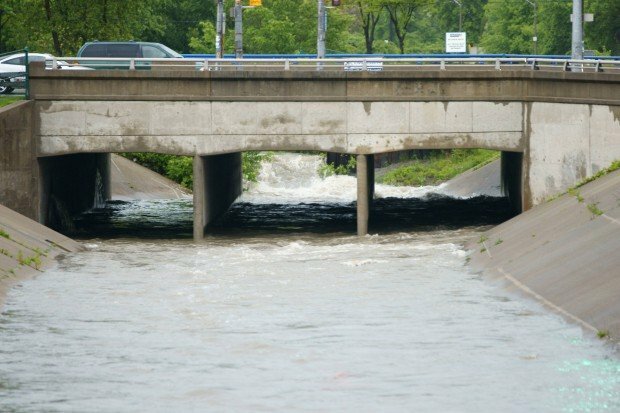 The Essex Region Conservation Authority has issued a flood watch. Rainfall totals are expected to range between 20 mm and 30 mm with the potential for higher amounts in isolated thunderstorms. This rain is in addition to the 15 mm to 25 mm of rainfall that has fallen within most of the Essex Region over the last 24 hours. Isolated thunderstorms can also include wind gusts up to 65 km/hr and small hail. Based on the current wet ground conditions, the potential for flooding exists throughout the region especially in low-lying areas adjacent to and within floodplain areas on all major waterways and shoreline areas. In addition, due to the potential for high intensity isolated thunderstorms, there is an enhanced possibility of flooding and drainage problems throughout the entire region, especially in urban areas, in the specific locations affected by these potential downpours.